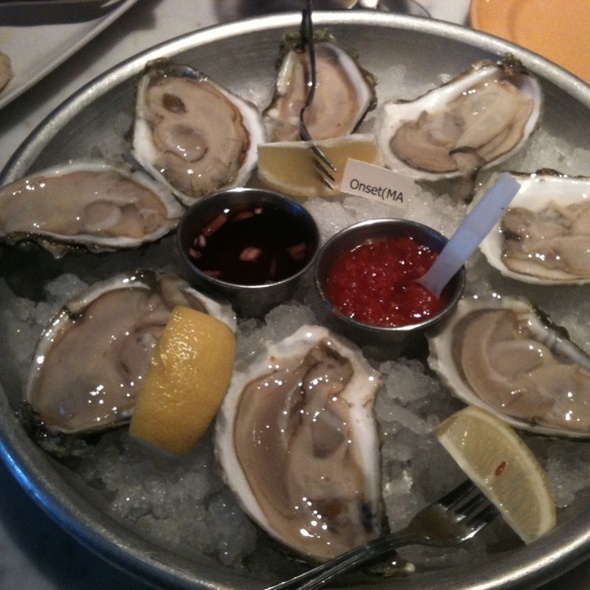 You must make reservations at least 5 minutes in advance of the time at Elm Street Oyster House. There are numerous public lots located within blocks of the restaurant. Street parking is also available near the restaurant. 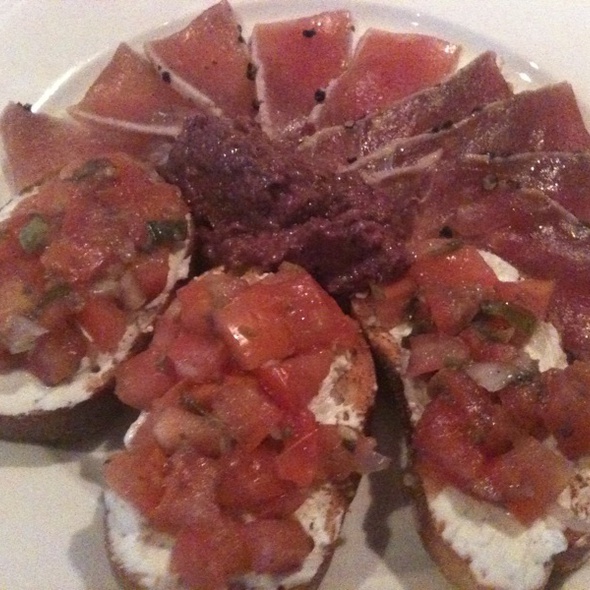 Elm Street Oyster House is a little gem of a restaurant, located right off Greenwich Avenue, in the heart of downtown. We offer the finest quality seafood from raw oysters to yellowfin tuna and king salmon, in a casual, friendly, elegant atmosphere. We have a world class wine list and a knowledgeable, accommodating staff. You will not find a better seafood restaurant in Fairfield County Connecticutt, guaranteed. Food was excellent! Service prompt and good. Parking easy and convenient on a Saturday night. It's a rather small place and quite noisy, so if you don't mind tables close by and loud chatter, it's one of the best places we've been to for seafood and fish. 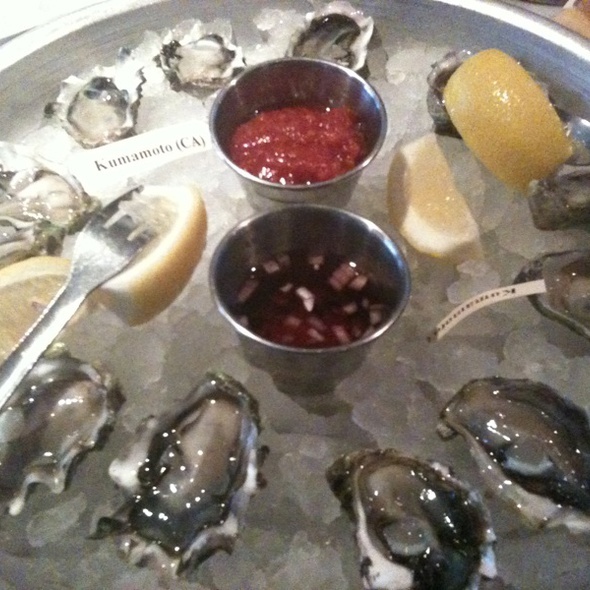 The raw oyster appetizers were also perfect. Will definitely go again, maybe on a quieter night if that's possible. Always delicious and friendly, excellent service. Overall this was a very cute place to eat - lots of good seafood choices. The main negative was the unfriendly waiter. He was very gruff - like he was forcing himself to be polite but was really irritated with everything and everyone. It made everyone at our table uncomfortable. Other than that the food was pretty good - the prices were on the high side. Probably wouldn't go back. Good food, good responsive service, a little crowded. Always good food at Elm Street and the owner is always very accommodating. Very nice Dinner Friday evening. Service was efficient as usual. My wife's Lobster salad was excellent. My Mahi mahi was good but a little under seasoned. Dessert was great. The food is always very good, but the noise level is sometimes just too much for us. If there is a group of 6-8 people in the middle of the restaurant, one can not have a conversation. We will wait till we can sit outside in the summertime. Great food and excellent service. It was a little crowded and noisy, but he food and service make up for that. 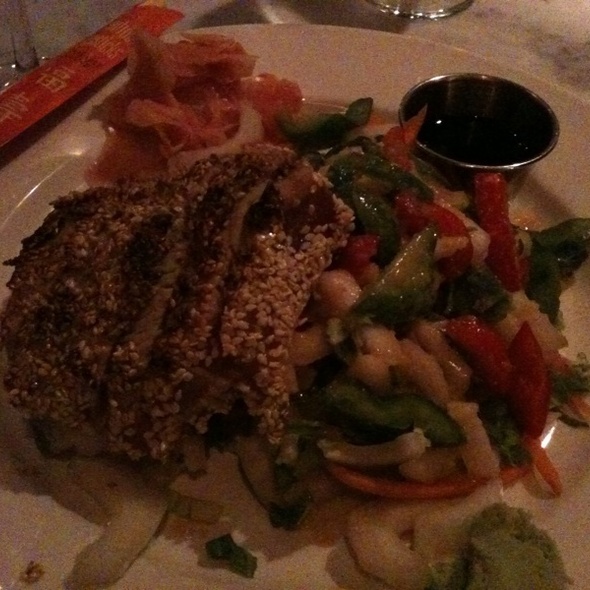 We always enjoy our dinners at the Elm Street Oyster House. It is one of our regular "go to" places. Historically, the food has been good. However, the menu pricing is starting to raise eyebrows and concerns about the reality of a Greenwich night out. In so many words, Greenwich is notorious for some restaurants that force customers away due to overzealous prices. It appears Elm Street Oyster House is gravitating toward that dubious honor! Great place with an awesome selection of seafood! The pan fried oysters are out of this world! I do wish they would take out a table or two ....they really squeeze people in. Staff was wonderful! Lobster salad could have used more substance. But other than that place has great service, comfortable, good find. $35 lobster roll which the server said “was an entire lobsters worth of meat” was about the same amount of lobster you could expect for a $15 or less roll from Luke’s Lobster. Super super greasy bun, drenched in butter. Fries were greasy. 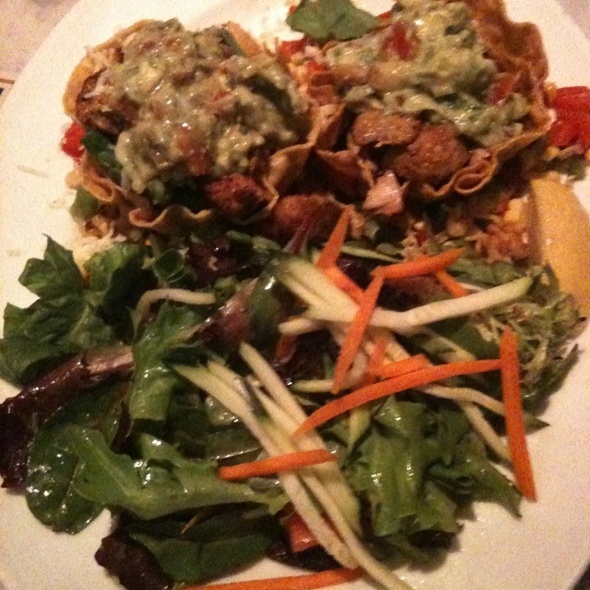 Only saving grace were their appetizers which gave us the impression their entrees would be good as well. Super disappointing and overpriced. The restaurant is cozy but appealing. Though spacing is tight, noise levels weren't bad even though it was quite full. Service was OK, with some minor language problems. 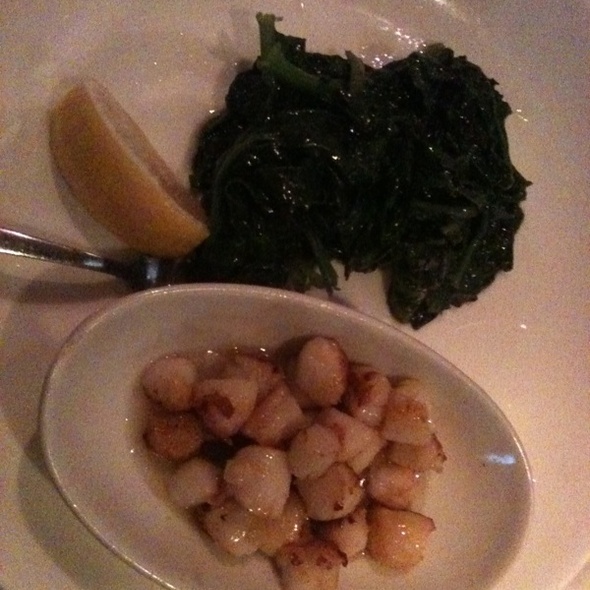 Enjoyed superb oysters, sweet and tasty mussels in white wine and leek sauce , and fine house salad. Would recommend and return. Eating at the bar is a great alternative for two people. Good experience overall. Small restaurant so tables are close. Solid menu with delicious options. Service was a little spotty...they move you quickly through each part of the meal. That said, worth the visit. Charming spot with great friendly service. 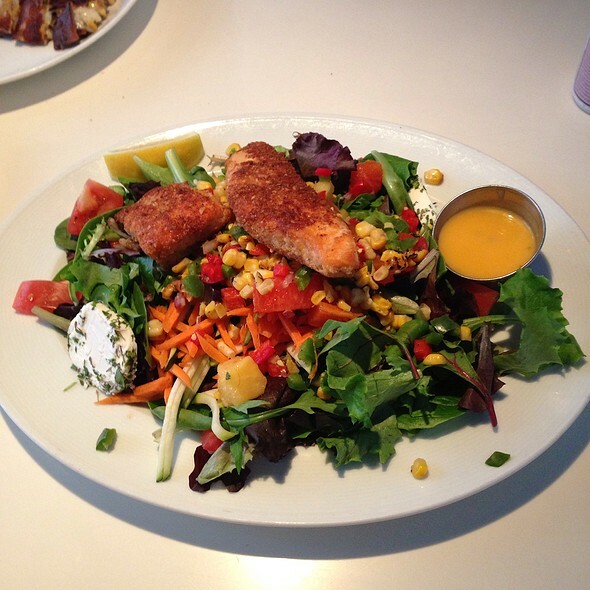 We all had salads with seafood on them and all were very happy. Try the macadamia encrusted salmon on greens or the scallops on greens- although we did think it was odd to have a lot of brie with the scallops, it was very good. The only complaint was that it is very bright and the lights should be toned down a touch. Takes away from the atmosphere! The food at Elm Street Oyster House is always great. We go often and believe that while not as well known because it's half a block off Greenwich Avenue, it's the best restaurant in Greenwich. The menu is broad and the specials, which change every couple days, are delicious, so there is always a variety of regular and new. Friendly staff, casual and a warm and inviting atmosphere. We give it the best review of all that we go to. Had the flounder special. Very good, but a bit too much breading. Poke starter was also very good, but not classic poke style/prep and a bit light on tuna (esp. for $24). Seated promptly at 6:30 and dinner completed by 7:11; that's a bit rushed. It was our first time and we will definitely go back! Everyone who worked there was very friendly and we loved the ambiance of both the bar section and the restaurant. Excellent selection of seafood (and other things). A repeat for sure. Creative menu and open to requests; did not have kir for our Kir Royale order (but used chambord, which worked out; the room can get very loud. Had a delicious dinner. Waiter was very attentive. Place was very busy and lively. It was our friends first visit there and they love seafood and were very impressed with the quality of all the seafood dishes. ESOH is, and always will be, the best special date spot in Greenwich. Whether lunch or dinner, the staff is extremely professional and sweet. The food is constantly delicious. 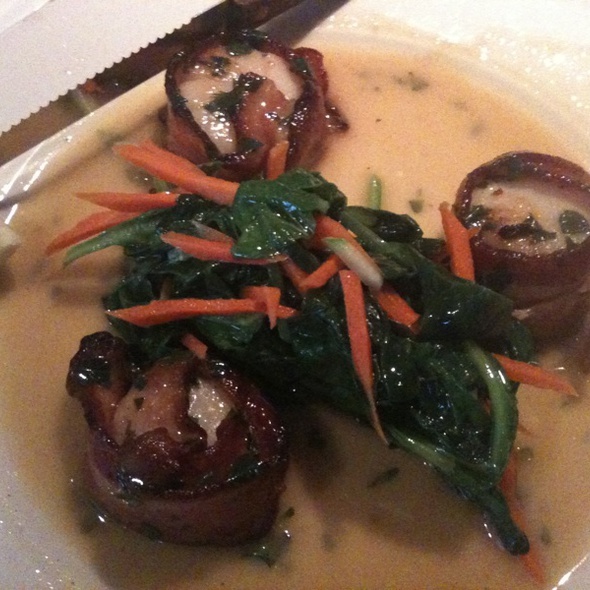 Restaurant consistently has excellent food and the management is very nice and professional. This was my 2nd dinner here. I thought it was excellent the first time. This time was very good but I disliked what I ordered. I would not judge the restaurant on this one dish, especially having been before. It was the paella. They say it is not typical paella on the menu and I wasn't expecting it to taste like Spain! The entire dish reeked through and through with the strong taste of pimenton (smoked paprika). I love chorizo (which has pimenton in it) in my paella but the whole thing tasted like someone dumped a couple of tablespoons of the spice in it. Everything else was good and I'm sure this was a fluke. I ordered a "stout" beer by pointing to the name on the menu. But a beer that looks and smells like an IPA was brought. I complained it but the server told me, "That's the one you want." I had to get another waiter to to prove this was not "stout". As you know, stout looks dark. It was a tough moment for me. I really like The Elm Street Oyster House. I normally go for lunch not dinner. The oysters are amazing and I really like the atmosphere. The staff are very nice. It's very busy normally and I've never had a bad meal. Always love Elm Street. Fresh seafood and friendly staff. Love the fried oysters. The biscotti with coffee is a nice touch. Settled for Eggs Benedict. Excellent preparation. Good wines.. Very delicious food, wine and good service. Would definitely return. We have been coming to this restaurant for years and have always loved it. This time seems like an exception, but we were very disappointed. We had to wait 20 min for our reservation (after the time booked) and they put 3 people into a table clearly made for 2. I realize the restaurant is small and it was a busy Sat evening, but the chair on the outside was bumped into every single time anyone (including the waiters) walked past. The food was just okay and looked like it was thrown onto the plates in a hurry. I will try this restaurant again, hoping this was just an off-night, but I hope it is not a sign of things to come. The paella was terrible and expensive. The fries were fantastic.